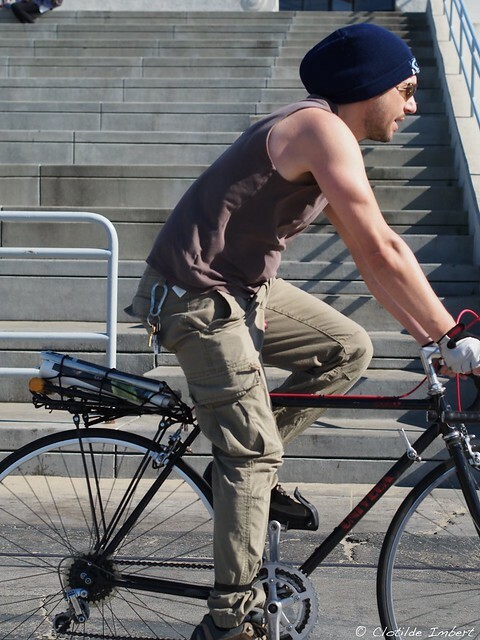 These days, Copenhagen Cycle Chic is in San Francisco where the number of cyclists is booming. Well, the dominant profile among cyclists is still "young men riding race bike". But, it is now diversifying quickly and "citizen cyclists" are enjoying more and more the streets of SF, steep or flat. More cyclists from SF here.